Steven Spielberg's Tintin film is in the can, but it will take two years for the computer animation to be completed, producer Peter Jackson has said. The Lord Of The Rings director told the BBC: "Tintin is great. It's made. The movie is cut together and now [we] are turning it into a fully-rendered film". "So the movie, to some degree, exists in a very rough state." 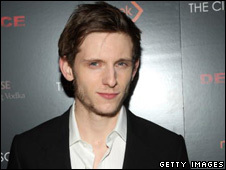 The director is in London for the Royal gala premiere of his latest film, The Lovely Bones, on Tuesday night. Based on Alice Sebold's best-selling novel, the movie is told from the perspective of a murdered teenage girl who reaches out to her family from the afterlife. Prince Charles and the Duchess of Cornwall will attend the premiere alongside stars Saoirse Ronan, Susan Sarandon and Mark Wahlberg. The film was originally supposed to be released in March 2008, but will now hit cinemas in January - prompting speculation that film company Paramount has Oscar hopes for the drama. 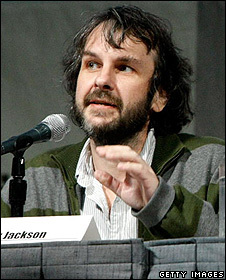 Jackson has already won three Academy Awards in 2004 for the final Lord Of The Rings film, The Return Of The King. He is currently revisiting JRR Tolkien's world by adapting The Hobbit for the big screen, although he has handed over directorial duties to Guillermo Del Toro. The project is currently in pre-production, and Jackson said he had been scouting for locations in New Zealand immediately before travelling to London. He stressed that there would be continuity between his films and Del Toro's, despite the latter being better known for macabre material like Pan's Labyrinth. "We're writing the screenplays with him, so in terms of the script, there is continuity," he said. "We're writing Ian McKellen's dialogue just the same as we did in Lord Of The Rings. But Guillermo, being the director, will obviously take the script and interpret that and shoot his film. So that'll be interesting to see. Unlike Tintin, he revealed, The Hobbit will not be filmed in 3D, despite the current vogue for the technology in the movie industry. "Guillermo wants to shoot in 35mm, old-fashioned film," Jackson said, "which suits me, because he wants to keep it in the same space as the original trilogy". But Jackson gave a cautious welcome to 3D, saying it "only adds to the experience" of watching a movie. "The only thing I get annoyed about is the image being a little dull. "It does feel like you're looking at the movie with sunglasses on. But literally, that could just be about getting brighter bulbs in the projectors."